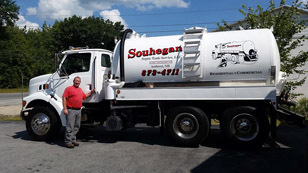 Souhegan Septic has arranged for a business PayPal account so that you can pay your invoice online using either a credit card or PayPal funds. Once you receive your invoice, click the button below. You will need to type in the amount of your invoice. PayPal will accept payment by Visa, MasterCard, American Express, and Diner's Club.